This weekend my fine city hosts the FedEx St. Jude Classic played at TPC Southwind, and I could not be more excited. Back in the day (pre-employment), I got to sit outside and enjoy 5 solid days of golf. Now, I’m a little more limited to the weekend, but man do I love every single second. Now, some of you silly people think that Summer begins on June 21st. But in Memphis, it’s like reverse groundhog day – Summer starts 2 weeks early. Seriously, I can walk outside and stand there for 5 minutes and break into a sweat. I know, I’m amazed I’m married too. So for me, this weekend brings seersucker and linen, a Pronto Pup date (or two) with my Biffer, the infamous “Hush Y’all” signs, cold beer, exciting golf…and, of course, the urge to break out the grill. I know some people are intimidated by the grill, but I assure you, it’s so easy once you learn! Grilling is a great way to add a little extra flavor to anything, including this delicious recipe I came across via one of my favorite magazines, Cooking Light. 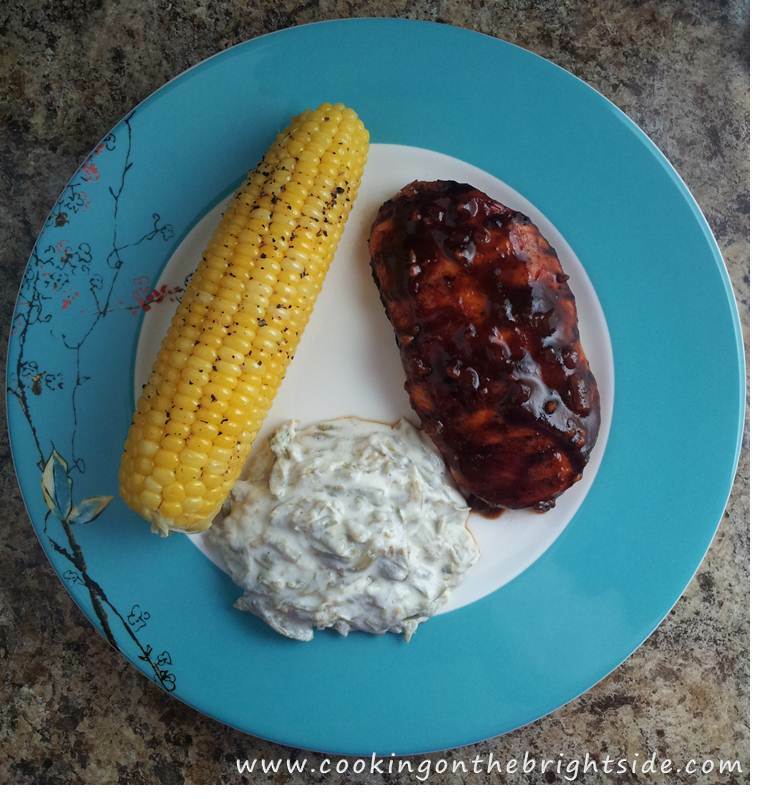 This weekend I urge you to get outdoors, fire up your grill, and throw together a delicious meal featuring this simple, smoky and sweet recipe! Adapted from original recipe here. Preheat grill to medium-high heat and spray with non-stick spray. Heat a small saucepan to medium-high. Saute onion in oil for 2 minutes, then add garlic and cook an additional minute. 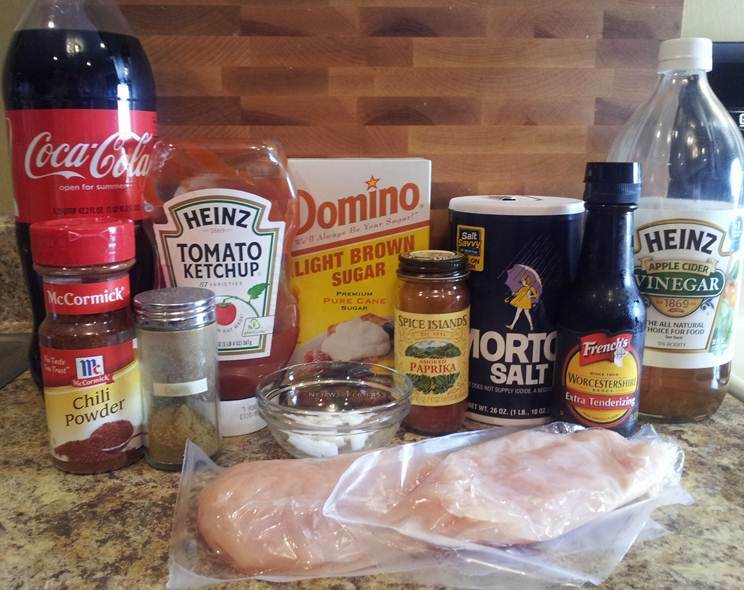 Pour in Coke, ketchup, vinegar, Worcestershire and chili powder. Stir and bring to a boil, then reduce to medium heat and simmer 10-12 minutes. Stir occasionally until sauce thickens. Set aside 2 Tbsp. and use the rest on the grill. For the chicken, mix together sugar, salt, paprika and cumin and sprinkle over both sides. I sprinkled a little more paprika and cumin over the chicken to make sure it was thoroughly seasoned. 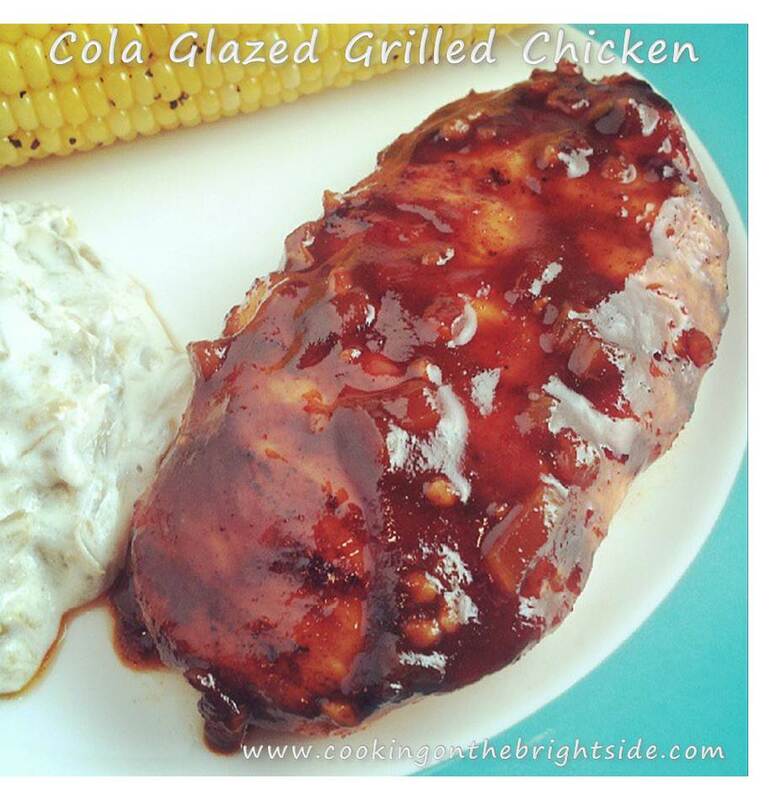 Add chicken to grill and baste with sauce. Turn after 3-4 minutes and base again. Repeat until sauce is gone and chicken is cooked through. 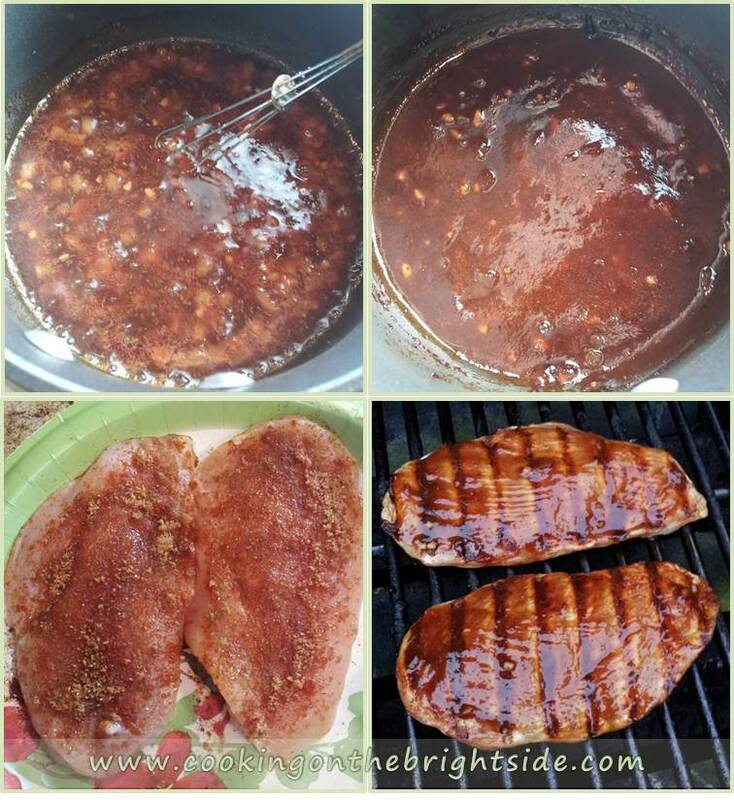 (I use the thin chicken breasts – so they cook in under 10 minutes). Plate the chicken and brush with remaining sauce. I grilled some corn on the cob with the chicken and made my delicious Parmesan and green bean casserole, and it all came together perfectly. Hope y’all have a great weekend…I know I will!